Peep THIS, Smarties! 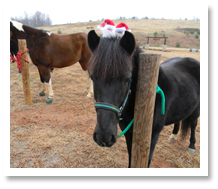 Camp Harrison is hosting a Winter Weekend on December 11-13. 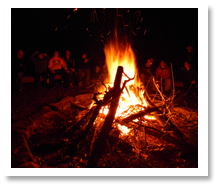 Past and future campers can come together for a full weekend of winter fun. Maybe your camper had a blast at Camp Harrison last summer and can’t wait a full year to return, or maybe you know someone who wants to give Harrison a try – this is a great weekend to do it! Plus, think of all the holiday shopping you could get down in a full weekend? 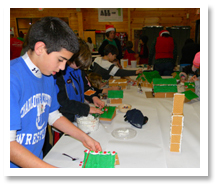 Winter weekend at Camp Harrison is Friday, December 11 to Sunday, December 13, 2015. – Activities include Adventure Course, Sports, Arts & Crafts, and much more! Visit www.campharrison.org to download and print application. Cost is $99 (but we like to think of it as priceless!). This weekend fills up F-A-S-T, so hurry to secure your spot! Questions? Call 336.921.7067 or email campharrison@ymcacharlotte.org. Best Grandparents Gift Ever: Camp Under the Tree!